Photos and video are from the first “Unauthorized Edition” 163-page test print in September. More photos on Flickr. Cost and time were our main constraints on this project. I can’t remember details on some of the other self-publishing/print-on-demand services, but Lulu seemed to be the most reasonably-priced and well-known. Grandpa didn’t want the book to be available to everyone in the world, so Lulu’s “Standard Grade” (vs. “Publisher Grade” quality) unregistered-ISBN printing service at around 5 cents per page seemed like a good option. It was $13.08 for his 252-page book and 99 cents for a PDF version (the latter is free to the person creating the book). There were several add-ons, like ISBN registration and cover design help, but we opted to go with the printing-only cost, so it made pricing simple—no signup fee or anything. We could have boosted the price of the book to make a profit, but again, Grandpa wanted it to be for family and friends only. See Lulu’s pricing chart for more details. One of the great things about Lulu is that they offer a good variety of printing options, including eBook (EPUB or PDF). We went with a 6×9-inch book, but you can go up to 12×12 (hardcover) and as small as 4.25×6.87 (paperback). I’m going to suggest that Grandpa print a few hardcover copies for about 7 cents per page if we end up with a second edition of the book (we’ve already noticed several corrections that need to be made). ADDITIONAL TECHNICAL NOTE (July 2015): One thing I forgot to suggest in my original review: Double-check the final PDF proof before ordering. If I recall correctly, once I had uploaded the Word document of the book to Lulu.com, it ran through an auto-conversion process and then produced a PDF which they use to do the actual printing. 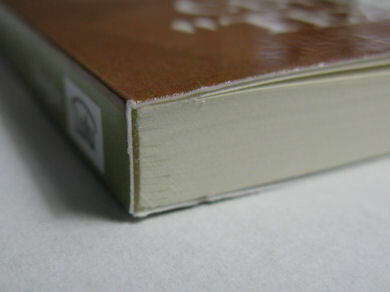 The only problem we noticed with this was that it created some blank pages in a photo section of the book that we had. I believe the “page break” feature in Word created this problem, but once I made a few adjustments, I was able to get the spacing to convert correctly.